Super Micro Computer, Inc. (NASDAQ: SMCI), a global leader in enterprise computing, storage, networking solutions and green computing technology, today announced it is showcasing Resource Saving datacenter and cloud solutions, including multi-node SuperBlade® and BigTwin™ systems as well as all-flash NVMe composable storage solutions with Supermicro RSD 2.1 at Data Center Expo Tokyo 2018 from May 9-11 at the Tokyo Big Sight, booth E33-3. The traditional way of scaling up datacenter resources often involves adding server nodes with fixed computing, networking, and storage ratios. Due to the different life cycles of these resources, a wholesale upgrade of the entire set of server nodes will often lead to premature retirement of valuable investments and resource underutilization. That is why Supermicro's resource-saving, disaggregated NVMe storage solutions like NVMe-oF (NVMe over Fabrics) are so important to customers who want to build more efficient and flexible hyper-scale datacenters. "Supermicro has already deployed Resource Saving systems in volume at many Fortune 100 datacenters," said Charles Liang, President and CEO of Supermicro. 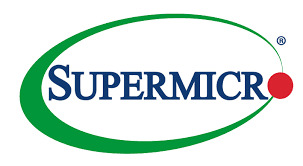 "As the leader in server system power efficiency and green computing, Supermicro now enables further savings by extending the life of server subsystems including the chassis enclosure, cables, networking, storage, fans and power supplies. The result is up to 60% hardware acquisition cost savings, less power consumption and less e-waste during technology refresh cycles, which saves datacenters millions in energy costs and helps preserve our Mother Earth for future generations." The new Supermicro disaggregated 6U SuperBlade unlocks the interdependence between the major server subsystems enabling the independent upgrade of CPU + Memory, I/O, Enclosure, Storage and Power/Cooling. Now each component can be refreshed at the optimal time to maximize generational improvements in performance and efficiency uncoupled from single monolithic server refresh cycles. Supermicro's 6U SuperBlade system, the first of several disaggregated Resource Saving designs, combines compute, storage, and networking into an enclosure with either ten or 14 blade servers, up to 28 U.2 NVMe or 42 SAS SSDs, and up to four 25G or 10G Ethernet switches. The blade server nodes support dual or single Intel® Xeon® Scalable processors (up to 205 watts per processor) with 24 DIMM slots (2-socket blade) and 12 DIMM slots (1-socket blade), maximizing performance and efficiency. In addition, the servers support M.2 NVMe and Intel® Optane™ SSDs. The enclosures use the same Ethernet switches, chassis management modules, and software as 8U/4U SuperBlade and 6U/3U MicroBlade systems for improved reliability, serviceability, and affordability. Resource savings are achieved with up to 90% reduction in cabling by deploying the 6U SuperBlade. The optional Battery Backup Power (BBP) Module provides sufficient power to the enclosure in case of power outage. This adds to the reliability of the system as it prevents data corruption or loss during transit due to power failure. The use of an expensive UPS solution also becomes optional with the available BBP Module. The 6U SuperBlade is also a leading density optimized server which provides additional resource savings in electrically-active datacenter footprint. With up to 98 dual or single-socket blade servers with 25G or 10G Ethernet switches per 42U rack, the new 6U SuperBlade systems are perfect for a wide range of enterprise, cloud, and datacenter applications where density and compute performance are of prime consideration including Simulation, CAE, EDA, Artificial Intelligence (AI), Business Intelligence and ERP/CRM. 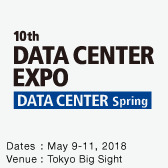 Also on display, Supermicro RSD is based on Intel® Rack Scale Design (Intel® RSD), which is an industry-aligned datacenter architecture built on open standards. Supermicro RSD manages racks of disaggregated servers, storage, and networking with industry-standard Redfish Restful APIs that remain consistent across different vendors and multiple server generations. Supermicro RSD 2.1 supports high performance, high density, and disaggregated NVMe storage for dramatically improved datacenter efficiency, increased utilization and lower costs. For those interested, Supermicro is running a live demonstration of Supermicro RSD 2.1 at the show. Delivering high performance and efficiency in a 2U 4-node design, the Supermicro BigTwin™ system supports the full range of Intel Xeon Scalable processors, fully exploits all the memory channels with a maximum of 24 DIMMs per node, and offers options for all-flash NVMe or hybrid NVMe/SAS3 drive bays. Depending on the configuration, each node features dual Intel Xeon Scalable processors, 24 DIMMs for up to 3TB of DDR4-2666MHz registered ECC memory, up to six hot-swap NVMe or SAS3/SATA drives, up to three PCI-E 3.0 slots including support for a flexible SIOM module enabling 100/40/25/10/1G networking options and redundant 2600W/2200W Titanium Level (96%+) digital power supplies. Supermicro will be showcasing a breadth of platforms to address a wide range of workloads. These exhibits will include the brand new all-flash NVMe Intel "ruler" form factor 1U system.